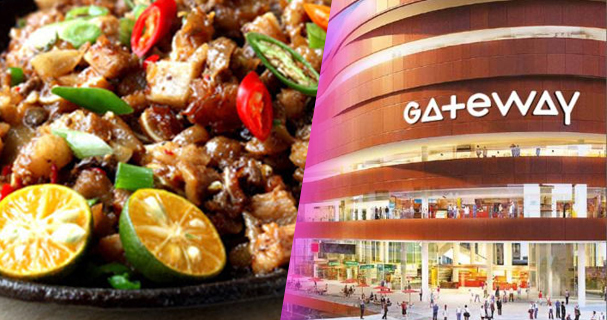 A foreign chef and food blogger once observed while sampling the typical Filipino fare that the predominant flavor in Filipino cuisine is sour. That is not true at all. 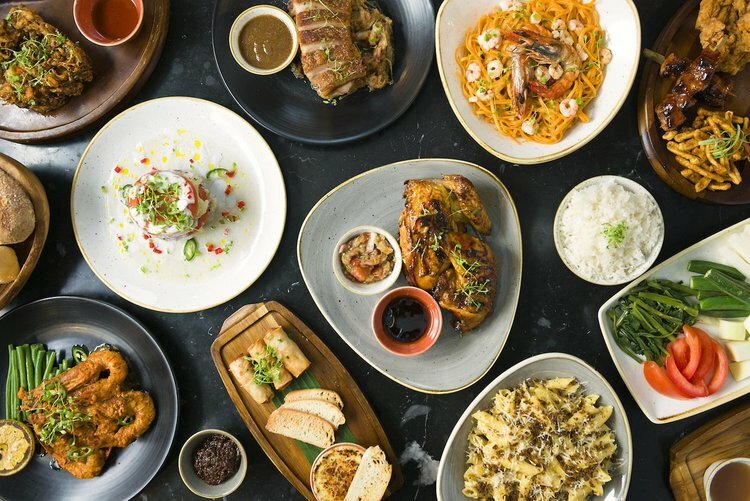 The predominant flavor in Filipino food is rich! It is true that many Filipino dishes have a hint of sourness because of the coconut vinegar, calamansi, tomatoes, or tamarind that we use for marinading or as a flavoring agent. This is because Filipinos dishes are often salt-based, and the sourness cuts through it to keep it from being too heavy on the tongue. Foreigners with their blander palates have a hard time appreciating this savory dishes because they do not eat rice, which balances the rich flavor. That being said, here are some of the favorite Filipino foods of all time. Of course, adobo is first on the list. It is a peculiarly Filipino dish where the meat (usually pork or chicken, but practically any animal meat will do or even vegetables like string beans) is boiled in coconut (not palm) vinegar with garlic, peppercorn, and laurel leaves until cooked. 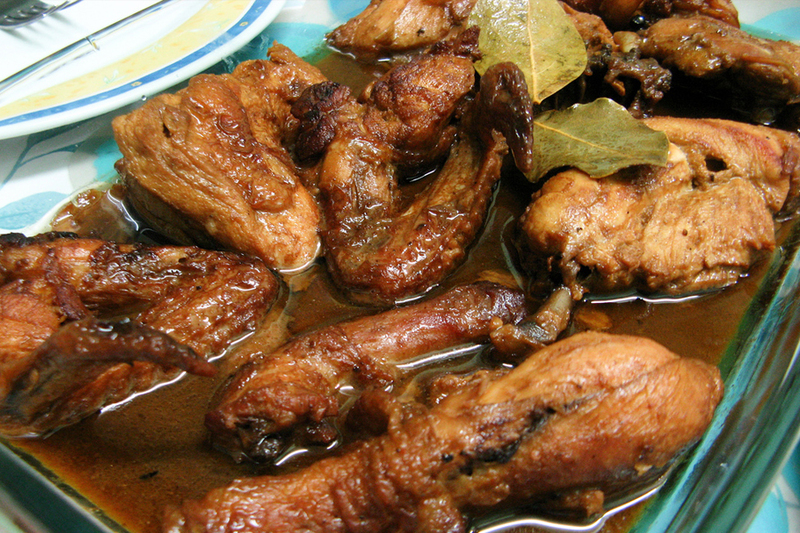 This is common to all varieties of adobo, but the next step, adding the salt source, varies from region to region. Some use soy sauce, others use fish sauce, while still others prefer plain salt. The texture of the meat (and the amount of sauce) is determined by this choice, but they are all best enjoyed with freshly cooked rice and a side dish of sliced tomatoes. This is another Filipino favorite using pork, beef, fish, or shrimp cooked in a broth made from the juice of boiled and steeped tamarind fruit. A powdered version of tamarind is readily available for convenience that works just as well. Another variation that uses chicken and has ginger is called ‘sinampalukan’. Sinigang is mostly sour similar to the Thai tomyum ( they use lemongrass, lime leaves and lime juice instead) but the sourness is balanced off by the addition of fish sauce. Instead of tamarind, some use taro or miso as the base flavor, and these work well with fish. 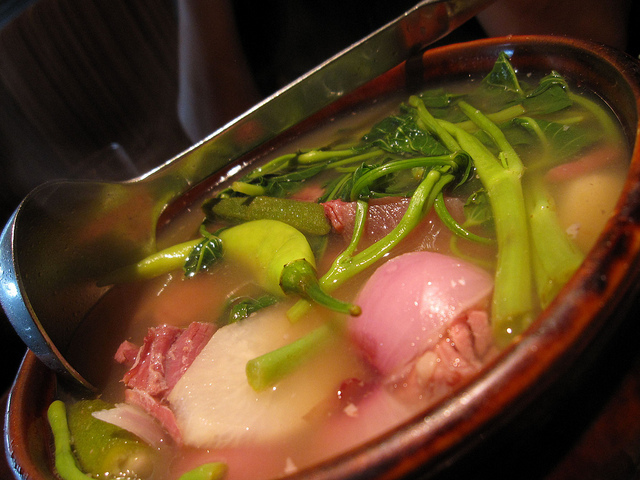 The typical vegetables in the dish are horseradish, water spinach, and eggplant. Some add a couple of finger chilis for a hint of spice. 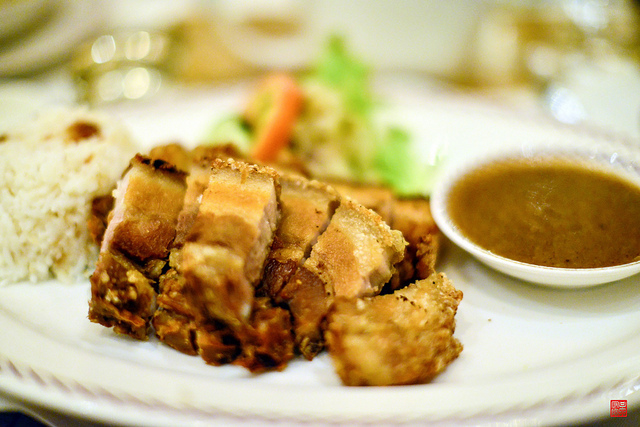 Not to be confused with “lechon” (roasted whole pig), lechon kawali is fried belly slab. It is first boiled until tender in very salty water, drained, and then deep fried in very hot oil. The skin and fat should be crispy but the meat is tender. The slab is then slightly cooled before being chopped into bite-sized pieces. If sinigang is not on the menu, there should be a dipping sauce of soy sauce, calamansi (or vinegar) minced garlic and onions, and chili pepper or ‘siling labuyo’. Some prefer lechon sauce as a dip. Basically, this is a stew using a lot of tomatoes and onions to make the sauce for cooking bite-sized pieces of pork or beef or cut-up chicken then adding cubed potatoes and carrots, peas, chickpeas, green pepper, and raisins. 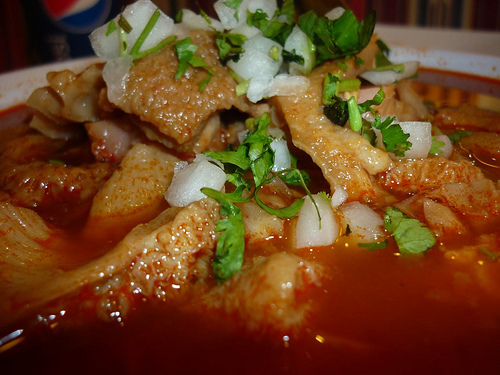 Some use tomato sauce instead of fresh tomatoes, and some omit the raisins because it makes the menudo too sweet. There you have it, favorite Filipino foods that are not found anywhere else. You either love it or hate it, but you have to try it. 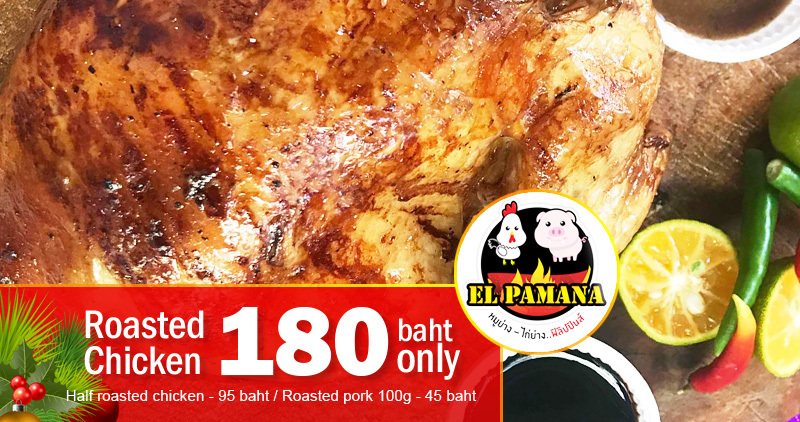 These favorite Filipino dishes can be ordered from Mabuhay restaurant with the Address: 2/1 Sukkasem 2 Rd., Muang 50000, Thailand. 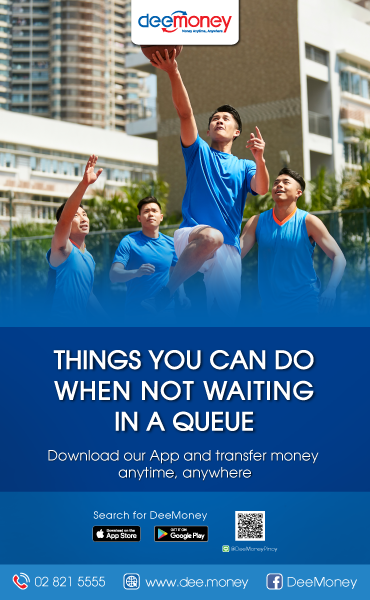 You can contact them at +66 53 223 753.